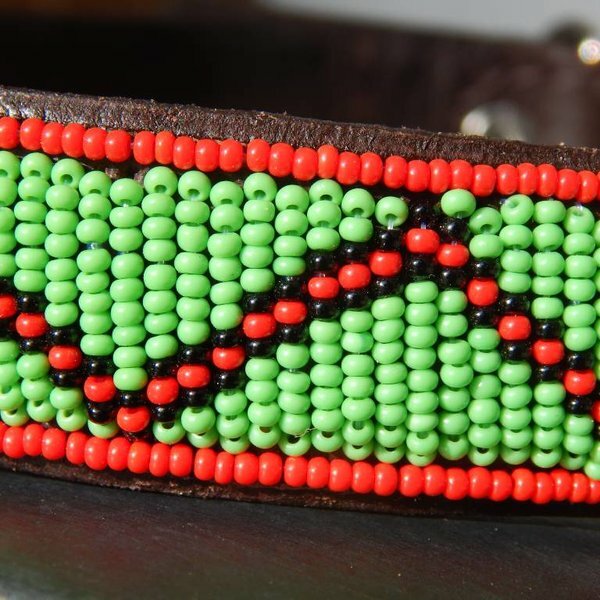 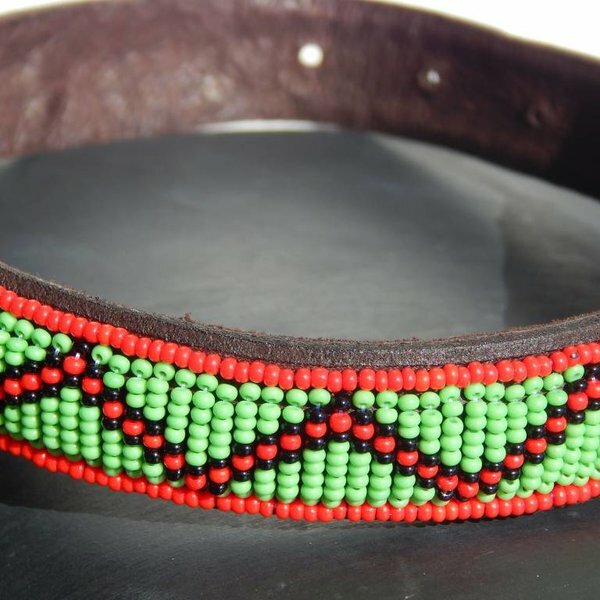 Hand beaded South African dog collar with red and green beads and dark brown leather. 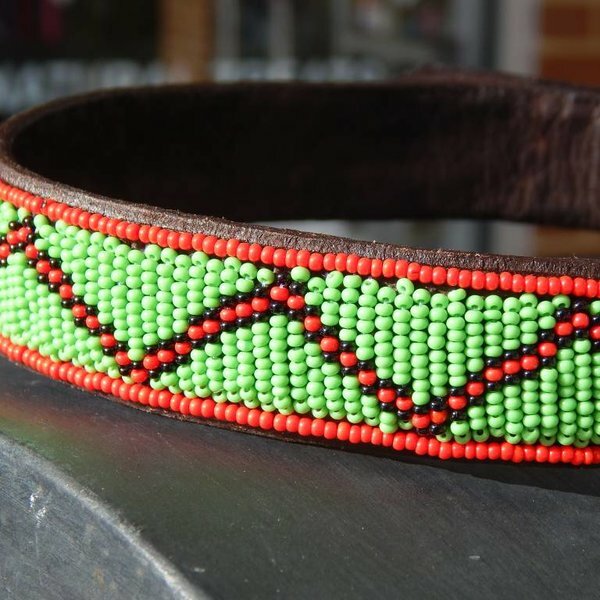 These collars are as unique as your pet, handmade with attention to detail. 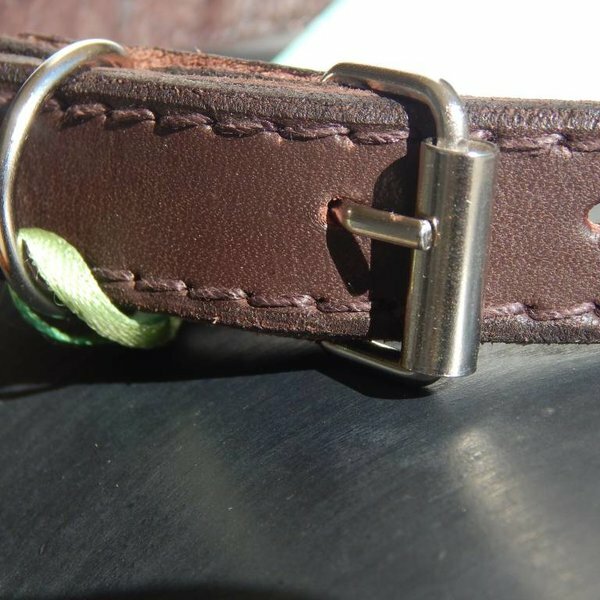 They are soft but durable and make your pet stand out from the crowd.